Mitchell Spearman is a premiere instructor in the world of golf and has been voted by his peers as one of Golf Magazine’s “Top 100 Teachers in America” since the list’s inception. For more than 30 years Mitchell has used explained the mechanics of the game simply. 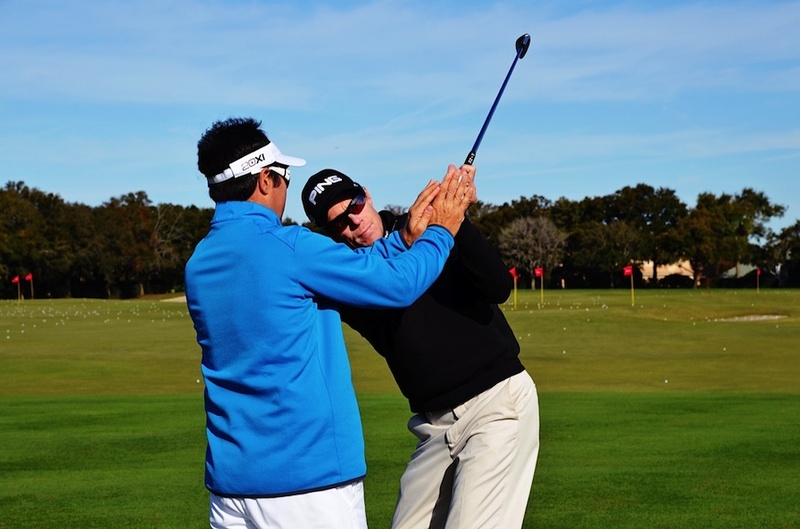 His teaching style has resulted in the success of professional and recreational golfers alike always with the goal of helping players get the best they can from their game. Mitchell has literally written the book on golf instruction, AIM of Golf, and provides content for various multimedia outlets. As the host of Golfing World, viewed in 30 countries around the world, Mitchell provides television golf instruction, industry commentary and equipment features. He has been appeared on Golf Channel’s Morning Drive offering advice to viewers and has also been featured by ESPN, Sports Illustrated, and Golf Magazine among others. Further, Mitchell has worked with many of the game’s finest players: Nick Faldo, Greg Norman, and Curtis Strange to name a few. He has also helped the world’s elite and those with celebrity development into accomplished players including Ahmad Rashad, Gareth Bale, and Deepak Chopra. Currently, Mitchell coaches PGA Tour players Billy Hurley III and Peter Malnati as well as LPGA star and Olympian Sandra Gal. "Mitchell's great, that's why people pay for him, he's the best around." "His knowledge of the swing makes complex changes in the swing seem incredibly simple. He is a true master of the golf swing."